Eugenia Kim "Dita" hemp fedora hat. 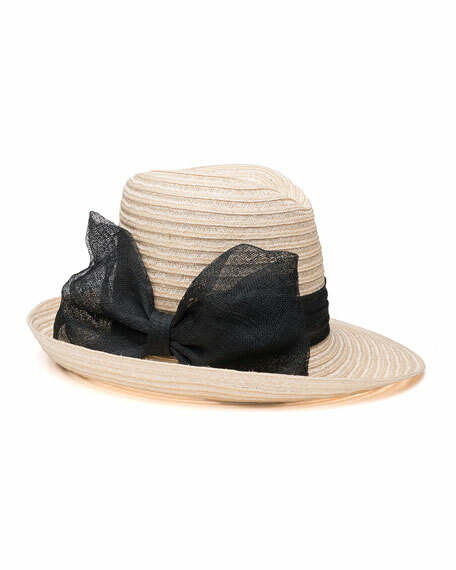 Sinamay (abaca fiber) hat band and bow. For in-store inquiries, use sku #2511127.